How do you guys extend your Z-Wave network reliably? Here is my situation. I bought a GE Z-Wave switch to put in my bedroom, but my network does not extend that far. It connected once when I paired it, but since then the device is unavailable. Even my regular WiFi signal is dismal back in the master bedroom, but we’ve never cared about that before because we don’t typically use devices in the bedroom. I am unable to relocate my router/hub from the location which it is in. I have a 2500 sqft home but there are walls and other obstacles for the signal. At first I thought to purchase the Samsung Connect 3 pair mesh routers, but I was reading that they are not yet compatible with the classic Smart Things setup which is what I have. 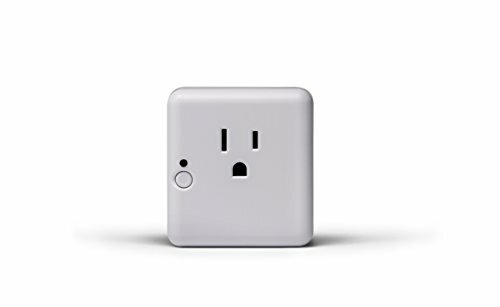 Then I thought to get another smart switch or smart outlet which would act as a z-wave repeater, but I wasn’t sure how well those items would work. So what does everyone else here do to extend their network. Has anyone tried the Samsung Connect 3 pair mesh routers yet? Thanks for any advice! This is generally how people extend their z-wave networks. Has anyone tried the Samsung Connect 3 pair mesh routers yet? This won’t help, only one of the Samsung connect devices will have any z-wave functionality. The other two will function as WiFi mesh devices only. It’s probably simpler than you imagine. Z wave is a mesh network: by design pretty much any mains powered Z wave device will repeat messages for other devices. Battery operated devices generally do not repeat. This happens automatically, you don’t have to do anything. Then read the FAQ on wireless range and repeaters, which covers both Z wave and Zigbee. Start with post 11 in that thread, then go up to the top and read the whole thing. Between those two, you will have pretty much all the information you need to begin planning. Just remember that zwave repeats only for Z wave and zigbee repeats only for zigbee. As far as specific devices to act as zwave repeaters, you definitely do not need the single purpose stand-alone devices that do nothing but repeat. To be honest, they are just a waste of power. And an outlet. The dual purpose light switches, plug in pocket sockets, inwall relays, and plug in zwave sensors do everything that the single purpose devices do plus something else, so they are generally a much better value. When it comes to selecting specific devices, people who are going to use Z wave light switches or Z wave inwall relays usually find that those are all the zwave repeaters they need as long as they have enough of them. Z wave plus will have significantly longer range than the older generations. People who are using Lutron or zigbee or WiFi wall switches but still have other zwave devices that need repeaters to reach them, like valve controls or garage door controls or battery operated zwave sensors, often use plug in pocket sockets. But there are lots of other Z wave – only pocket sockets which also work very well if you have a preference for a particular feature or look instead. So read the two FAQs and then you should be ready to start looking at devices. But you don’t have to look for anything special: pretty much any Z wave certified mains powered device will act as a repeater. BTW, this is also mentioned in the FAQs, but as it happens, zwave lightbulbs also work well as Z wave repeaters. That’s not always true for zigbee, but it is true for Z wave. This can be useful when you were trying to get signal through an area where there are a lot of architectural barriers, because the light bulb is High up and can often go in places where there are no outlets. 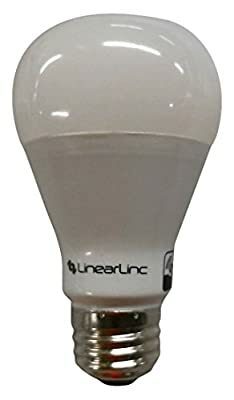 So a pocket socket on sale may actually end up being less expensive, but the bulbs do let you position a repeater high up in a room, which sometimes helps. That can be particularly useful in a garage where signal gets blocked by the cars or to bounce signal down basement stairs when there are pipes or other barriers running along the basement ceiling. We had one community member who was working on a large church building and bulbs turned out to be the best way to get signal across a very large room and down a hallway which didn’t have any outlets. So just one more thing to keep in mind. Thanks for the tip on the Samsung Connect routers. I didn’t know that only one of them had Z-Wave functionality. Thanks again JD, I really appreciate everything you do for the community and your very thorough responses.